Floor Planer / Scabbler SIMA CAT 202 with Working Width: 8"/200mm. Engine: Electric 415 V Single Phase Power: 2,2 Kw. 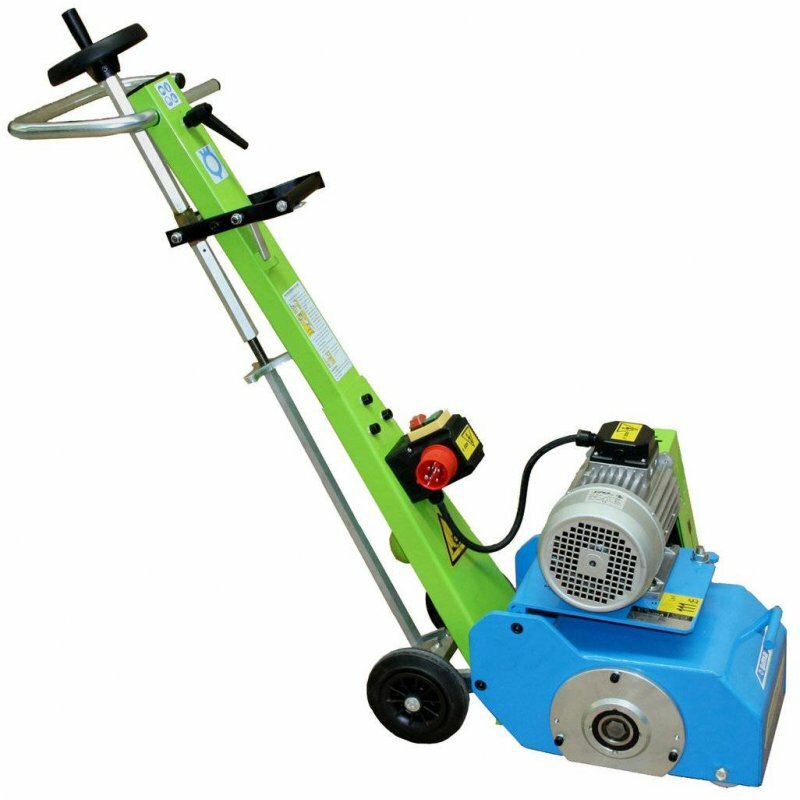 Ideal for for cleaning, deep grooving, level reduction,removing of coatings, de-rusting of metals, etc in small / medium size surfaces such as concrete, asphalt, steel, iron, stone, wood, etc. or any other hard surface. Floor Planer / Scabbler SIMA CAT 202 with Working Width: 8"/200mm. Engine: Electric 415V Single Phase Power: 2,2 Kw. Multiple applications: milling, grinding, flaking, grooving, etc. of small and medium surfaces of both, concrete and asphalt or any other hard material. The six-tips milling cutters are highly resistant, made of strong steel with up to 58/60 HRC hardness. Quick milling drum lifting system, to avoid accidents and ease the machine transportation. It is recommended to use it along a dust vacuum cleaner, that can be connected in the outlet designed for this purpose.